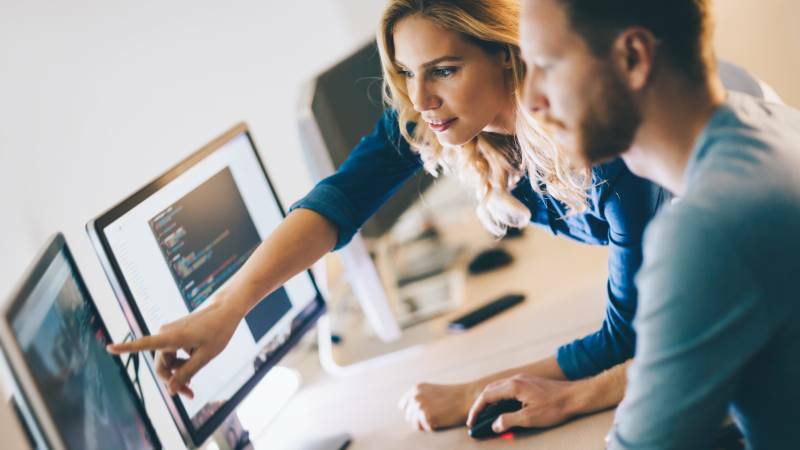 In the rapidly digitizing world we currently live in, coding has gone from a highly-desired, niche expertise to a skill millennials, from the business-minded to the creatives, are encourage to have. But millennials aren’t the only ones benefitting from this uptick in programming education, and they definitely shouldn’t be the only ones considering it. Coding gives you an amazing opportunity to be an inventor in the 21st century, where almost everything already exists, or seemingly so. Bringing your own ideas to life is a benefit in itself, but it’s definitely not the only reason to learn the basics of programming. Web development is one of today’s most promising careers. With an average salary of $60,000 at the early level and demand expected to grow up to 27% from 2014-2024, web development is not only an exciting hobby or a valuable skill, it’s a smart career path that can change your life! Better yet, it can provide an overflow of supplemental income if you decide to leverage it on the side of your day-to-day career. So, even if you don’t want to work as a developer or in a creative field, learning to code can be an eye-opening and life-changing experience. Here’s how. The tech community is like an exclusive club for chosen ones – smart and persistent individuals who devoted their time and energy to acquire a badass skill everyone is talking about. These people are also extra supportive, love to collaborate with each other, and make perfect geek friends! Just think about it – you’ll be able to understand technical conversations around you, meet like-minded people, and work on something bigger together. Who knows, maybe you’ll be a part of a successful start-up or the creative mind behind the next amazing Google project? Computer programming is an enormously flexible and creative tool that enables you to do amazing things. A lot of what you see around you uses some kind of programming created by someone else. What if you learn and start running these programs by yourself? What if you create your very own program that will change or simplify someone’s life? When you learn how to code, you reprogram your brain and gradually start to think differently. And when you start thinking logically, you can come up with a lot of unusual and creative solutions to any problem, even if it’s not related to programming. If you decided to change your career, coding gives you endless opportunities to work online or remotely. It means it doesn’t matter where you are – on vacation, at home or in a fancy coffee shop. You can be an avid traveler or visit a new coffee shop every day, it’s totally up to you – as you long as you are working on your task, you earn good money. When you leave the traditional 9-5 cubicle job and stop working Monday thru Friday, you actually realize how many exciting things you missed because of your job. You can work till the sunrise and then sleep till noon, or go to a morning yoga class – because when you work for yourself, you have the ability to create your own schedule. Even though you still have deadlines and meetings, you are still the one who can control when, where, and what time. Coding can make you much more productive. Once you acquire the basic programming skills, you can easily automate some basic tasks that will save you time in a long run. Flow, an idea studied by Mihaly Csikszentmihalyi, is a state when you are so immersed in what you are doing, that you easily lose track of time. According to Mihaly, who also wrote a best-selling book on this subject, this amazing state is the secret to happiness. Learning new languages, writing lines of code, creating something from scratch . . . those are very unique and enjoyable experiences that leave you with a sense of satisfaction. If you want to make your life more meaningful, learning how to code can give it to you. Coding is a unique skill that can develop structured and creative thinking. You’ll have exciting problems to solve, but you won’t start coding right away. First, you’ll have to break every problem down into workable pieces. This highly effective approach will help you develop the habit of finding a solution to any problem in a very structured format. Learning how to code is all about learning how to acquire new skills. When you decide to learn programming, you decide to enhance your digital literacy and explore the whole new world. You have an amazing thing in your house – a computer – and, believe us, you have no idea what this gadget is capable of. Steve Jobs once said – “Everyone should know how to program a computer because it teaches you how to think” and we can’t agree more with this statement. Learning how to code is empowering, and once you learn how to manipulate data or create new apps from scratch, the problem solving skills learned in the process are bound to help you in many other areas. Are you ready to get started?